My year of creative habits challenge has been good for me on so many levels. It's been refreshing to set aside time to get ideas out of my head and onto paper. It's been a challenge in willpower to motivate myself to make art every single day and it's been incredible to see that the more dedication I show, the more ideas and inspiration I've had. But even better is the fact that I'm finally moving forward on a dream I've had for a long time. I am thrilled to announce that greeting cards are now available in the A Lively Hope shop! I currently have a line of four love-themed cards available, and plans to add many more. (And, yes, I'm taking requests). 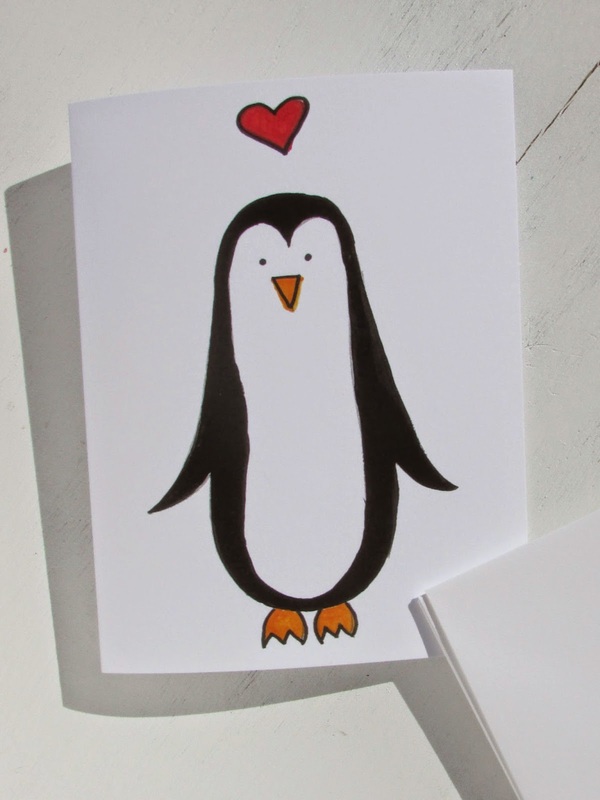 I think the penguin love card (above) is my personal favorite. 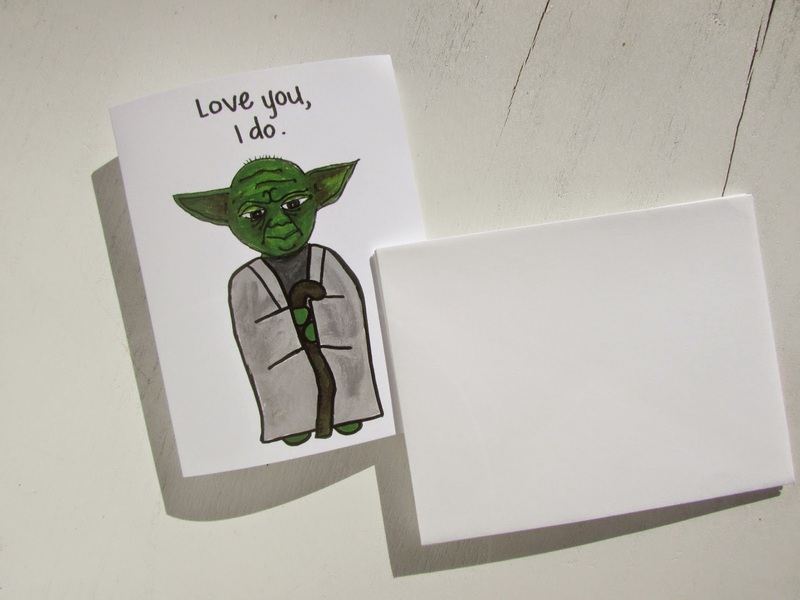 This Star Wars inspired nerdy-love card is all about celebrating the nerd in all of us. 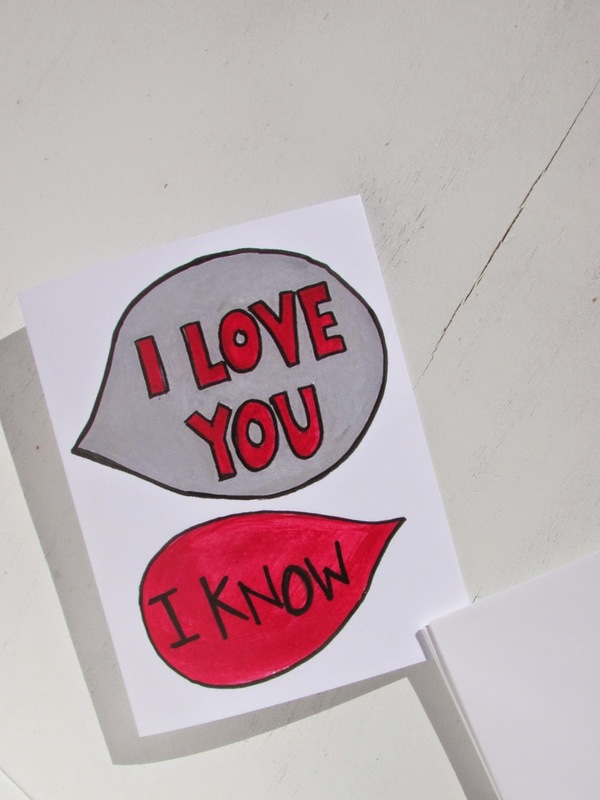 The Love you, I do Yoda card was so fun to paint. I may be a bit biased, but I think he's pretty cute. 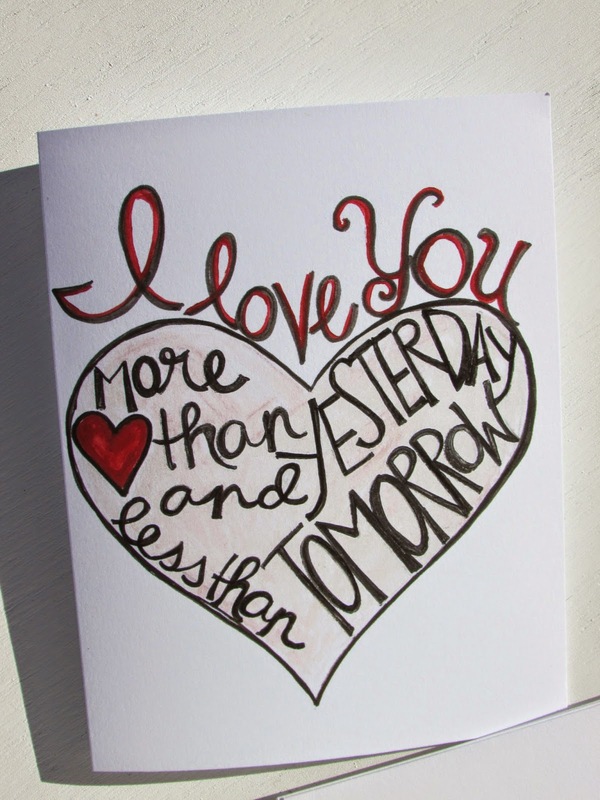 This card features one of my favorite marriage sayings: "I love you, more than yesterday and less than tomorrow". All the cards feature my original artwork and are printed on high-quality paper by a lovely little local shop. They are blank on the inside and come with a white envelope.